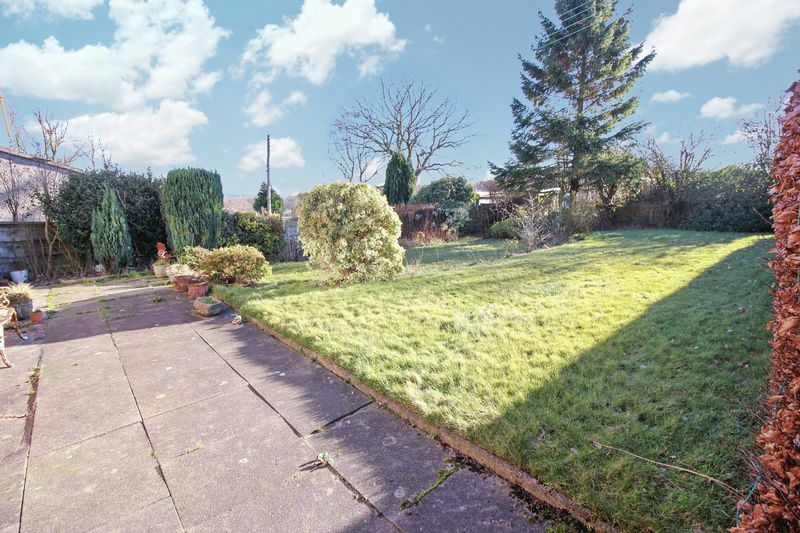 **DETACHED** **THREE BEDROOMS** **23FT LIVING/DINING ROOM** **INTEGRAL GARAGE** **VIEWS** **FRONT & REAR GARDENS** **DRIVEWAY** This three bedroom detached home is nestled on an impressive plot and is delightfully positioned, having open views to both the front and rear aspect. 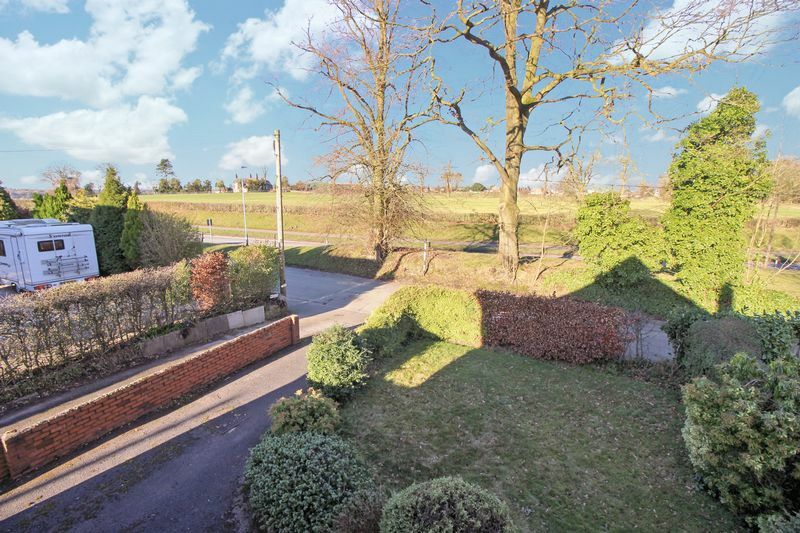 A home which offers so much potential, with the possibility of developing into a four bedroom home, (subject to planning and building regulation approval). 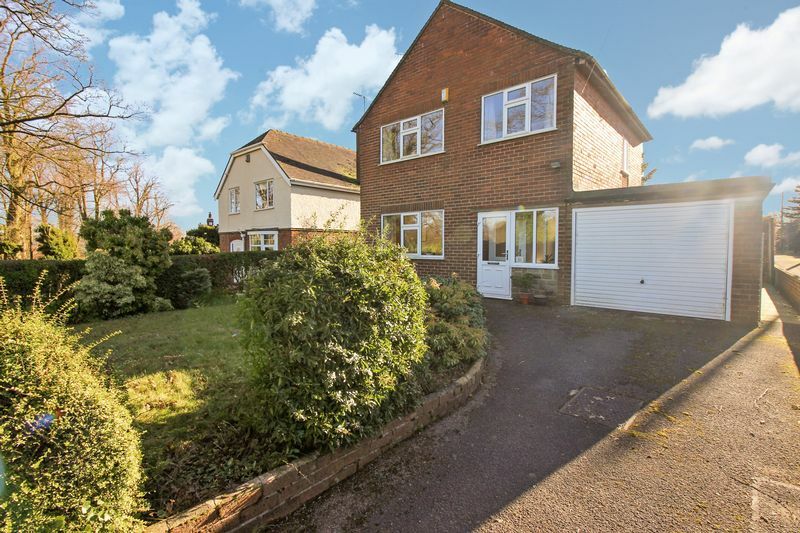 The property provides ample off street parking via the tarmacadam driveway and spacious gardens are located to both the front and rear. 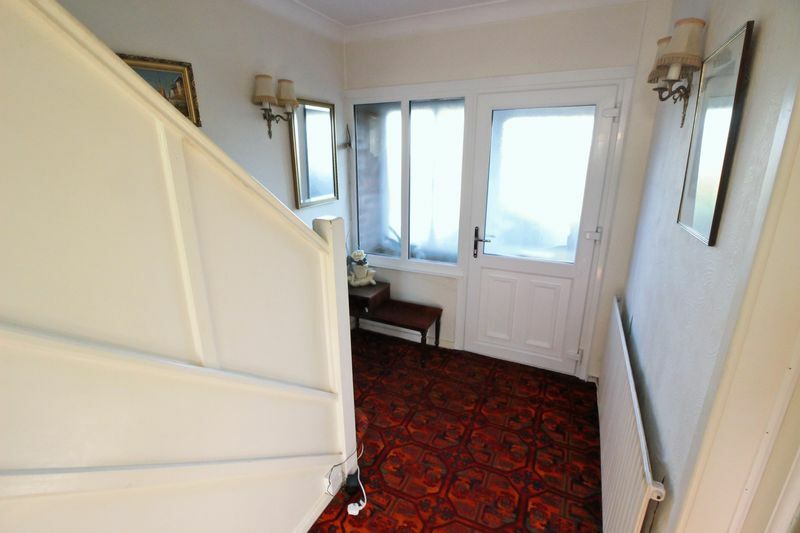 Access to this home is via an entrance porch into the hallway. 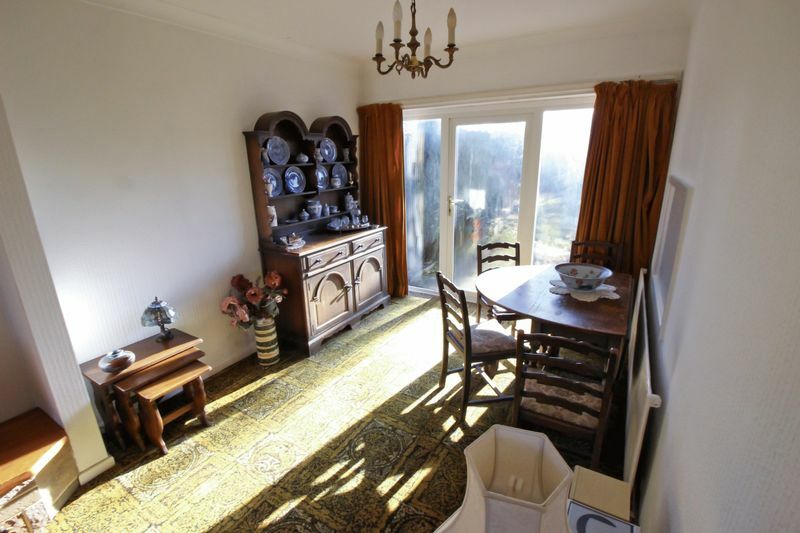 The hallway has a useful under stairs storage cupboard and provides access to the substantial 23ft living/dining room. 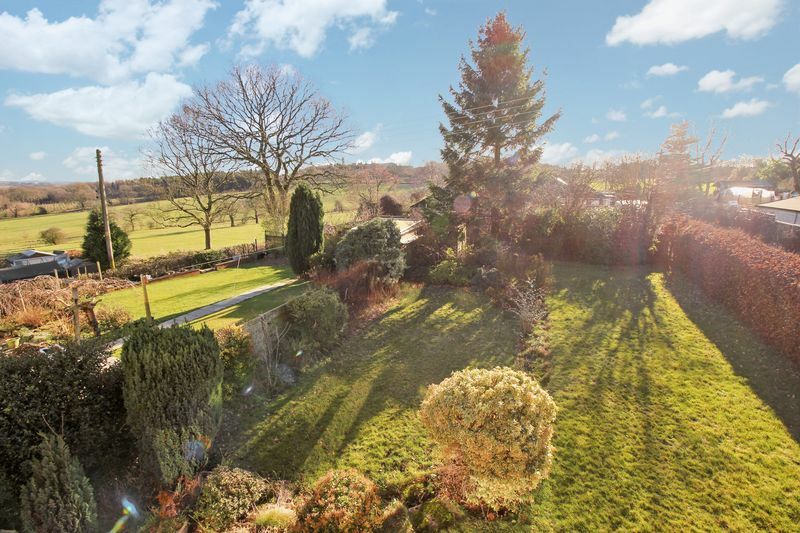 This vast space has ample room for both living and dining room furniture, incorporates an electric feature fire and provides access to the rear garden. 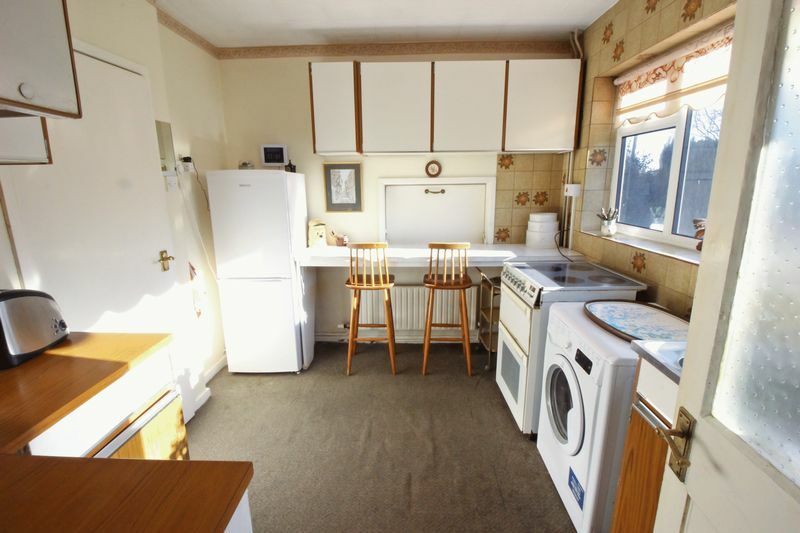 A fitted kitchen has a range of units to the base and eye level, stainless steel sink and electric cooker point. 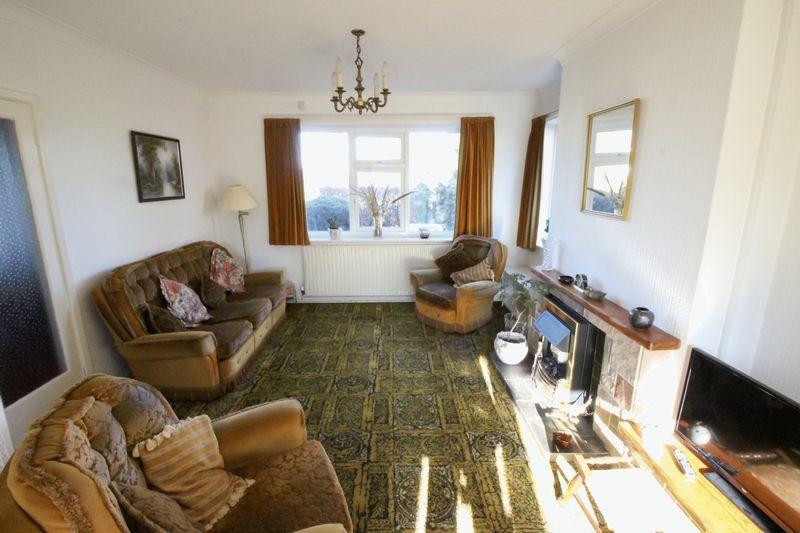 The rear hallway provides access to a useful storage room which houses the gas fired central heating boiler, access to the rear garden and integral garage. The garage is a useful 18ft, has up and over door, light and power. To the first floor the landing has a storage cupboard and loft access. 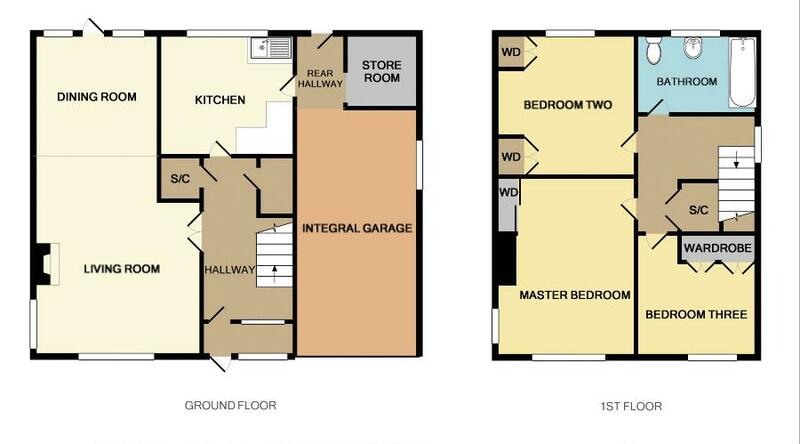 Three well proportioned bedrooms, all incorporating some form of fitted bedroom furniture. The family bathroom comprises of panel bath, low level WC and pedestal wash hand basin. 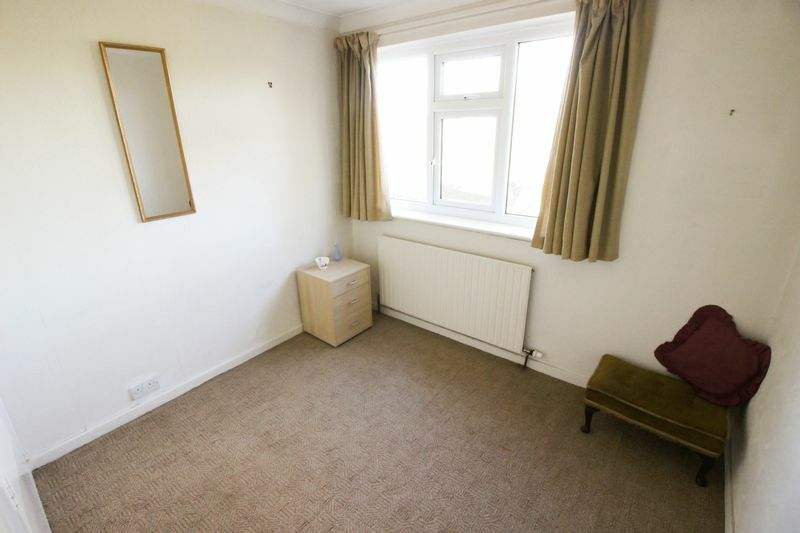 Offered for sale with NO CHAIN, a viewing of this home is highly recommended to appreciate its desirable location and potential it offers. UPVC double glazed window and door to the front elevation. UPVC double glazed door to the front elevation, UPVC double glazed window to the front elevation, radiator, stairs to First Floor, built in storage cupboard, understairs storage. 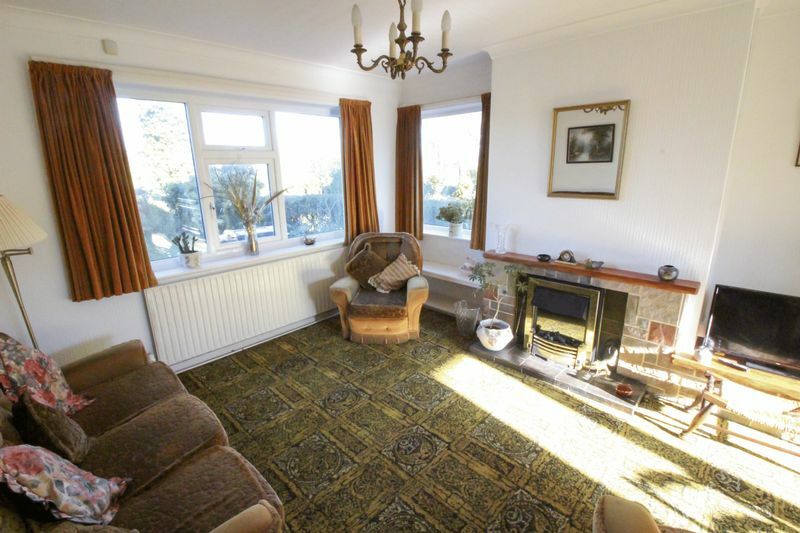 Open plan, UPVC double glazed window to the front and side elevation, UPVC double glazed door to the rear elevation with UPVC double glazed window to the rear elevation, two radiators, serving hatch to Kitchen, fireplace comprising of stone surround, tiled hearth with wooden mantle and incorporating an electric fire. 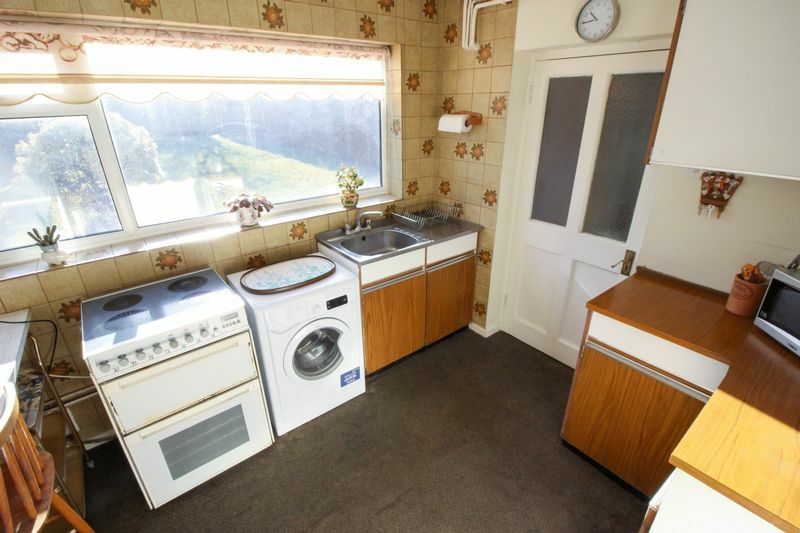 Built in units to base and eye level, breakfast bar, electric cooker point, plumbing to washing machine, stainless steel sink with drainer and mixer tap, UPVC double glazed window to the rear elevation, space for free standing fridge/freezer, partly tiled, wooden door into rear hallway. UPVC double glazed door to the rear elevation. Housing wall mounted gas fired central heating boiler. Up and over door, UPVC double glazed window to the side elevation, light and power connected. UPVC double glazed window to the side elevation, loft access, built in storage cupboard. 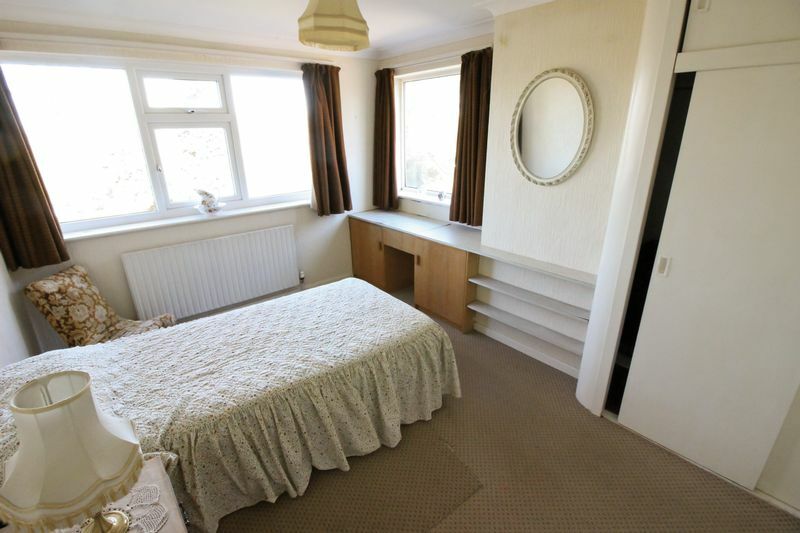 UPVC double glazed window to the front and side elevation, radiator, built in wardrobe. UPVC double glazed window to the rear elevation, radiator, built in wardrobes and overhead storage. 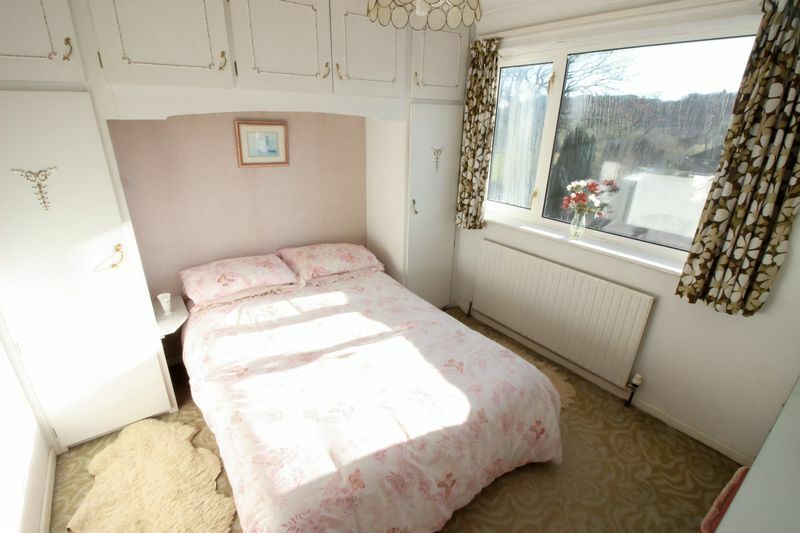 UPVC double glazed window to the front elevation, radiator, built in wardrobes with overhead storage. 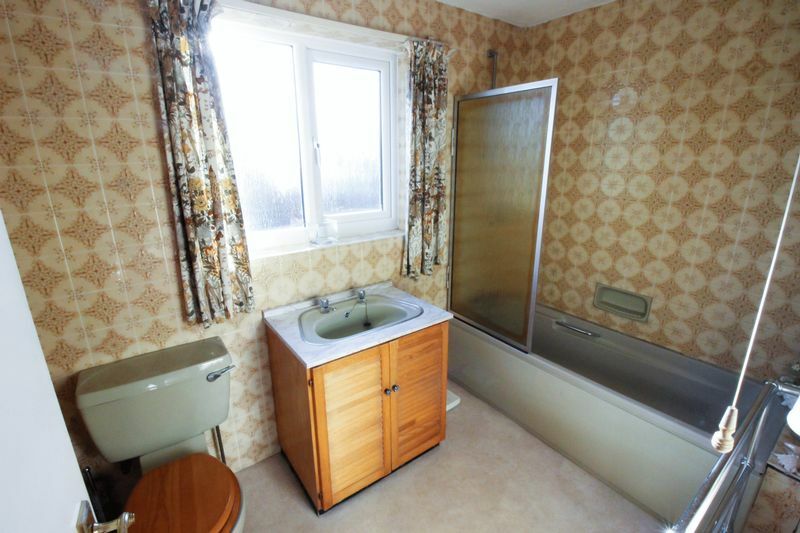 Low level WC, panel bath with mixer tap, vanity wash hand basin with storage beneath, UPVC double glazed window to the rear elevation, heated towel rail. 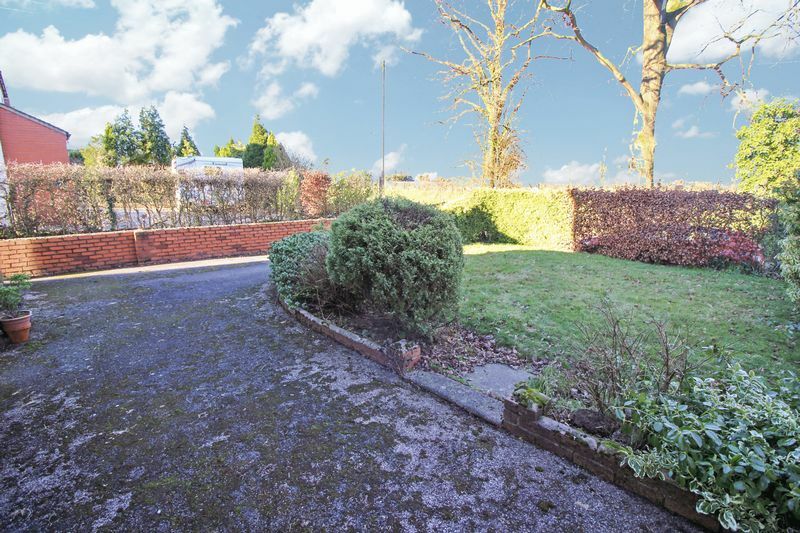 To the front elevation is a tarmacadam driveway providing access to the Garage, area laid to lawn with well stocked borders and hedges, access to both sides of the property. Patio area, area laid to lawn, well stocked borders, hedged boundary, mature trees.